Claudia Heffner Peltz is a former American fashion model, who had a thriving career strutting down the runway for various brands and posing for covers of magazines, ad campaigns, and editorials. She became one of the most lovable faces in the modeling and fashion industry thanks to her hardworking nature, irresistible beauty, and unwavering belief in herself and what she was capable of. Claudia has thousands of fans who enjoyed her work and kept up with her career the entire time it lasted. Since retiring from the world of modeling, Claudia’s claim to fame has been her marriage to the American businessman and billionaire investor, Nelson Peltz. She is also popular for being the mother of the fast-rising actress Nicola Peltz, who featured in the commercially successful action thriller Transformers: Age of Extinction; the former professional ice hockey player Brad Peltz, who played for the Ottawa Senators in the National Hockey League; and Will Peltz, the actor best known for his appearance in the comedy-drama film Men, Women, and Children. When it comes to being a mother of celebrities, few people do it better than the ageless beauty, Claudia. The former fashion model was born on March 12, 1955, to Barbara Heffner and her husband, William J. Heffner. Additional details about her family, childhood, and educational history are unavailable as Claudia is yet to supply such information, she steers clear of the topic during interviews. 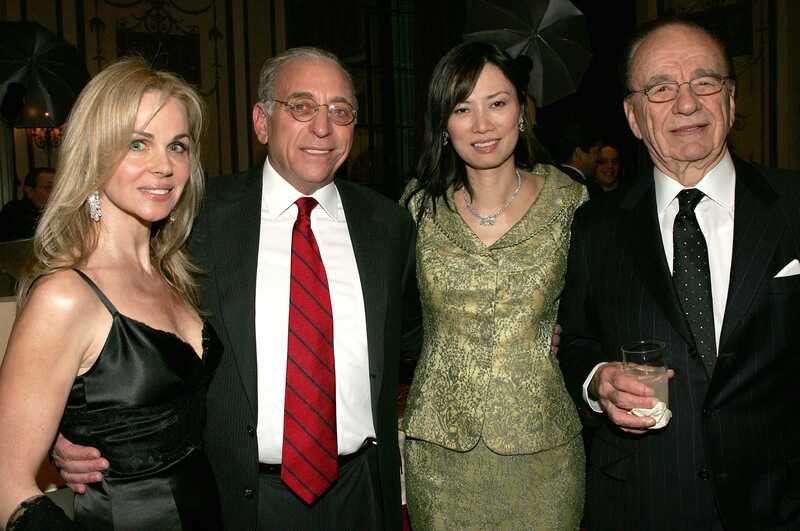 However she is very forthcoming with news about her own family, and what her husband and children are up to, so the Peltz clan are constantly under the watch of the media and literally anything they do is a news story that is bound to make waves. So far, Claudia Heffner Peltz has managed to avoid controversy and has become excellent at managing the affairs of her family as the matriarch. She is a major backbone behind her children’s success and her husband’s continued rise in the world of business. Claudia doesn’t shy away from showing up for her family when needed. She frequently appears by her husband’s side at luncheons, charity and business dinners, and other events. She also attends her children’s movie premiers, games, and the showcase or behind the scenes of projects they are working on to lend her unwavering support. Claudia is the third wife of the renowned business mogul and billionaire Nelson Peltz. Although there is no concrete information regarding how they met or when exactly they began dating, Claudia and Nelson tied the knot in 1985. They have been happily married for over thirty years now, and there are no signs of cracks in their marriage that might suggest a separation anytime soon. The influential pair welcomed three children into their family: William Peltz born in 1986, Brad Peltz born in 1989, and Nicola Anne Peltz born in 1995. The couple also shares five children from Nelson’s previous marriages. All of Claudia Heffner Peltz’s children have gone on to be successful in their various careers. William and Nicola are climbing up the Hollywood ladder as professional actors, and have already been featured in several blockbuster movies. Her other son, Brad made a name for himself as a talented ice hockey player before retiring from the sport to pursue other interests. Raising children is no small feat, but from all indications, Claudia managed to pull it off in the most spectacular fashion, and she deserves all the accolades for that. 1. Claudia Heffner Peltz has accumulated some serious wealth of her own over the years from her modeling career, as well as other business endeavors. She is currently estimated to have a net worth of $5 million. 2. She is very involved in charity work and philanthropy. She and her husband are constantly donating money to all kinds of causes that help and protect all manner of people and things. 3. Claudia and her husband currently reside in Mountsorrel, an expensive and famous property in Palm Beach, Florida that previously belonged to Anita Young, the sister of the iconic modernist painter Georgia O’Keeffe. 4. Her husband Nelson Peltz is the 432nd richest person in the United States and the 1394th richest person in the world with a net worth of $1.6 billion.